In recent years, ASUS has launched many flagship products on computer exhibition in Taipei. 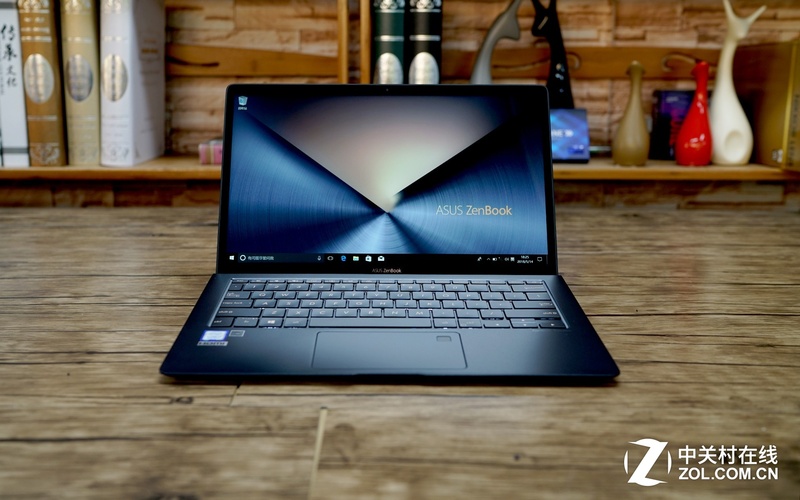 The ZenBook S UX391UA is ASUS’ new flagship-level product which is powered by Intel’ eighth generation Core processor. In the meantime, this laptop has optimized user experience so as to enable the laptop to bring more excellent user experience. Now, we will see this new flagship’s performance. 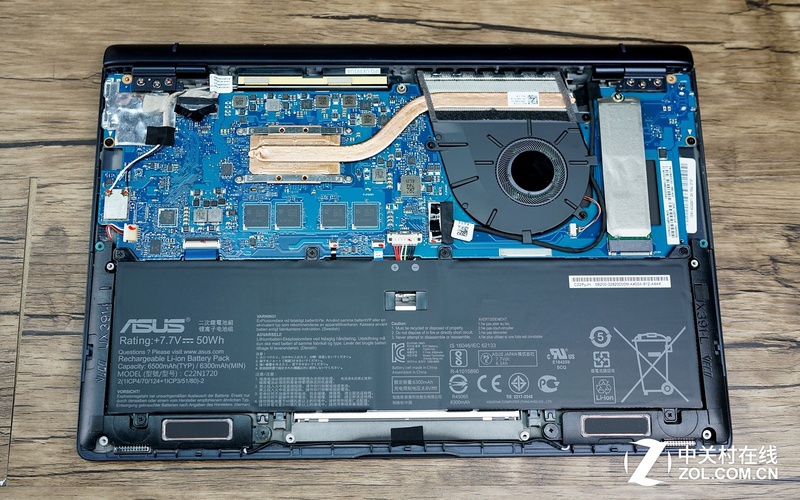 We also tear down its previous generation – the Asus ZenBook UX390UA. This lightweight laptop adopts concentric circles design on its top cover, which brings it good light effect and excellent texture. 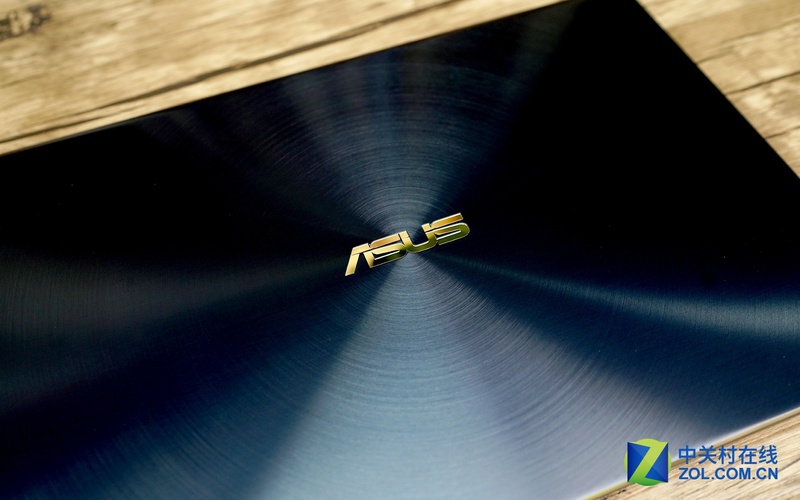 The gold-plated Asus logo and dark blue plate on the top cover make the laptop look more elegant. 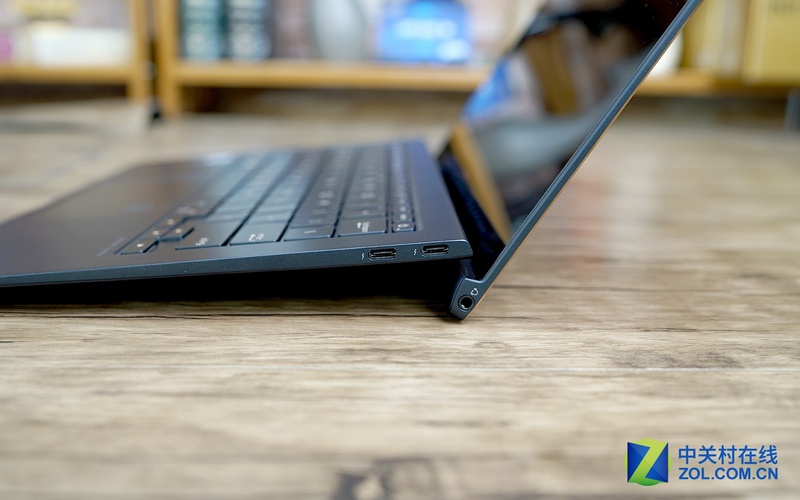 As an ultrathin and lightweight laptop, it doesn‘t have as abundant port design as other common laptops do. 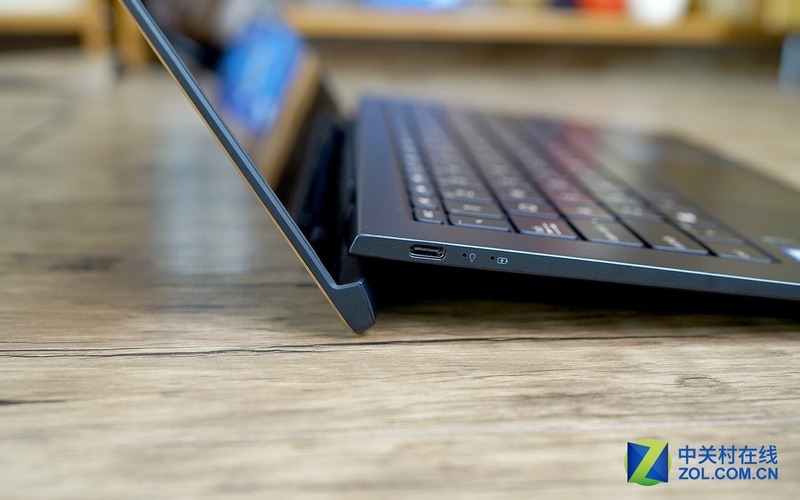 However, this laptop features Type-C and Thunderbolt 3 ports. 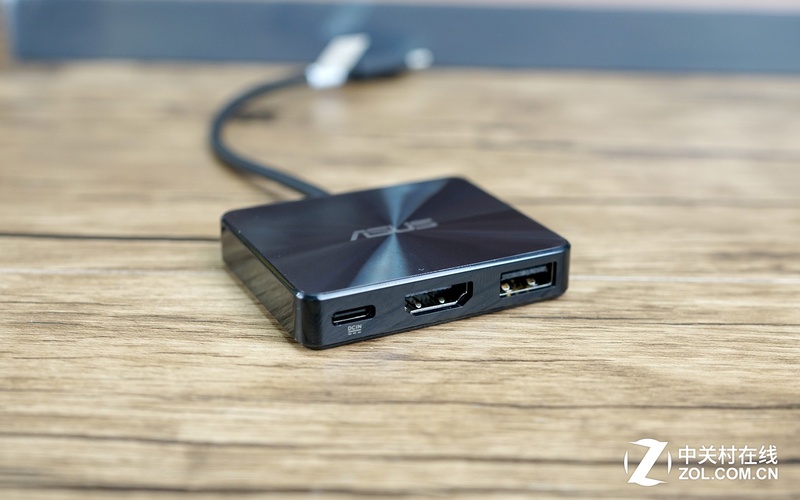 Besides, it also provides dock with Type-C port, including HDMI port and standard USB port, bringing users more convenience. 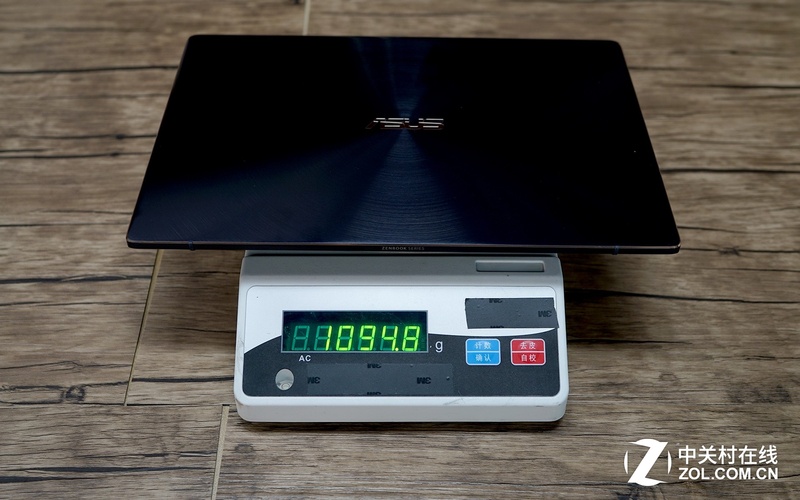 The laptop weighs 1.095kg and its weight is 1.362kg with an adapter. 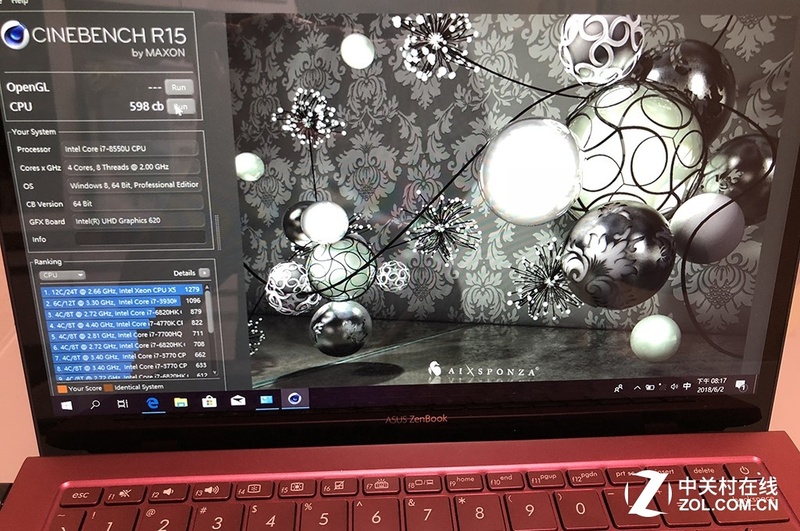 From that, we can see that ZenBook UX391UA is a product with a quite light weight as a 13.3-inch all-metal laptop. This laptop features a 13.3-inch HD screen. It comes with three narrow bezels, which guarantees high screen ratio. The laptop we have for the test doesn’t support touch function. In addition, it adds mirror glass to the surface of the screen. 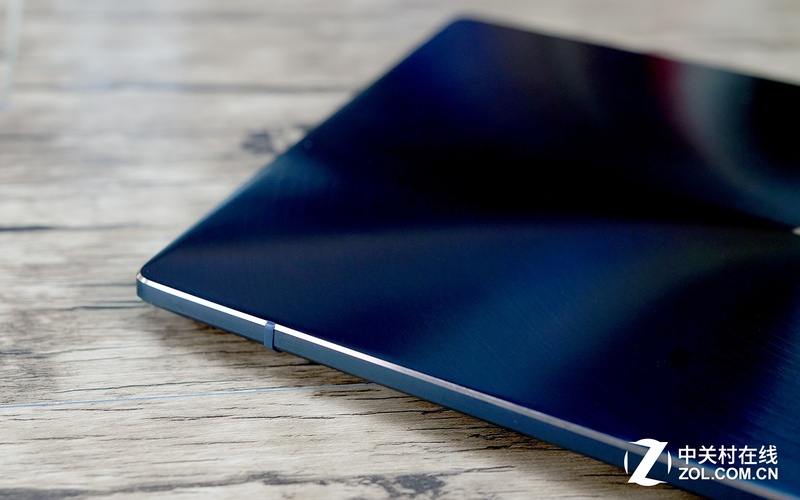 If this laptop features a matte screen instead of a glossy screen, it will bring less fashion. The screen that this laptop feature has excellent performance. We use the Spyder 5 to test its color gamut. The test results show that this screen covers a wide color gamut. 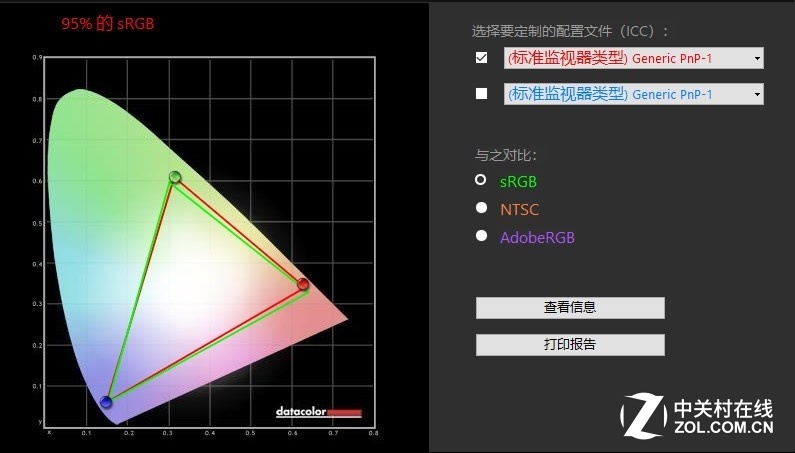 Its sRGB color gamut covers 95%, NTSC color gamut covers 69% and AdobeRGB color gamut covers 73%. From the results, we can see that this screen has quite good performance. Nowadays, most laptops adopt simple and fashion design. 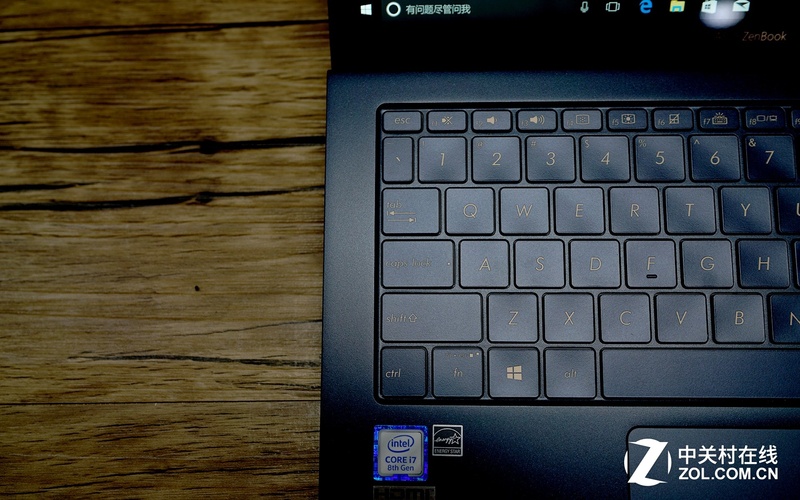 As mentioned above, the biggest change in this ZenBook is that it will bring much better user experience. The design the laptop adopts will make it comfortable for the user to use it. And in the meantime, it also brings better heat dissipation performance. We can also notice that there is a mat on the verge, which can not only fix the fuselage but also protect verge from abrasion. The laptop’s loudspeaker unit at the bottom brings good sound effect. 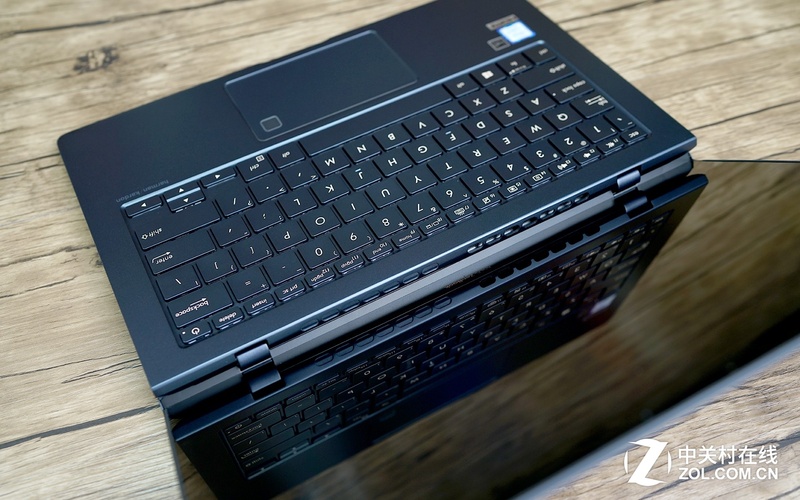 Compared with other common laptops, it can bring the user better sound quality. To bring users better typing experience, this product features a keyboard with large-size keycaps. Moderate travel distance makes it more comfortable to type. Besides, the keyboard features three-level adjustable white backlit so that the user can see the keys and type without any trouble under dark condition. 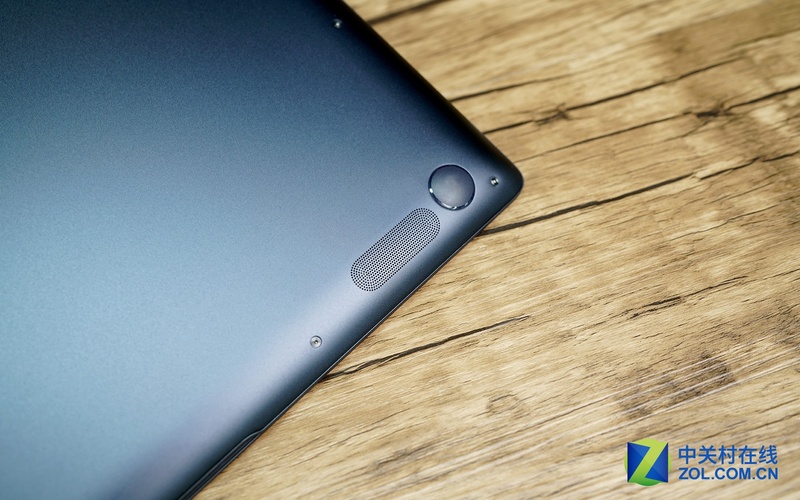 The right top corner of the touchpad is the fingerprint reader. The whole touchpad brings comfortable and smooth user experience. 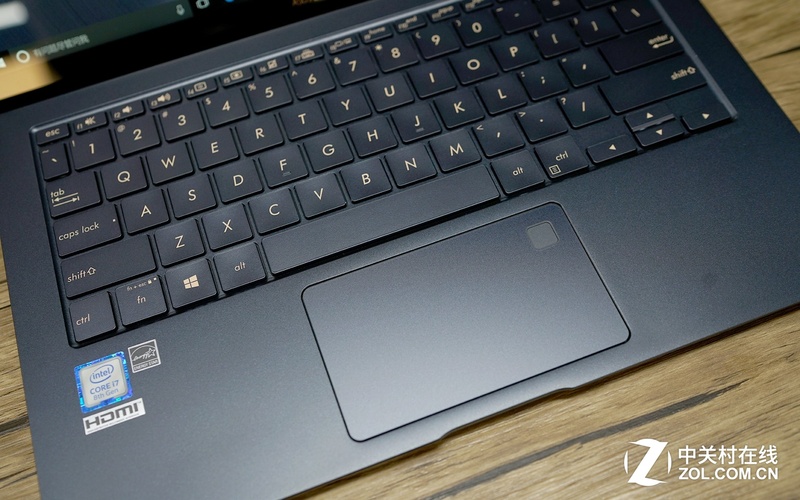 In a word, this laptop’s keyboard and touchpad bring excellent user experience. The thinnest part of the laptop is 13mm. We feel curious about its interior design, so we have a simple teardown of it. After taking out screws at the bottom and disconnecting the plastic clips, then the back cover can be removed. It has a tidy interior layout. The top part is the motherboard and the bottom part is the battery. 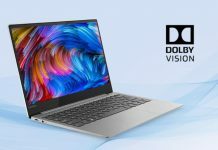 To guarantee lightweight and thin feature, the laptop has to adopted onboard RAM particle, which means that its memory can’t be changed or upgraded. 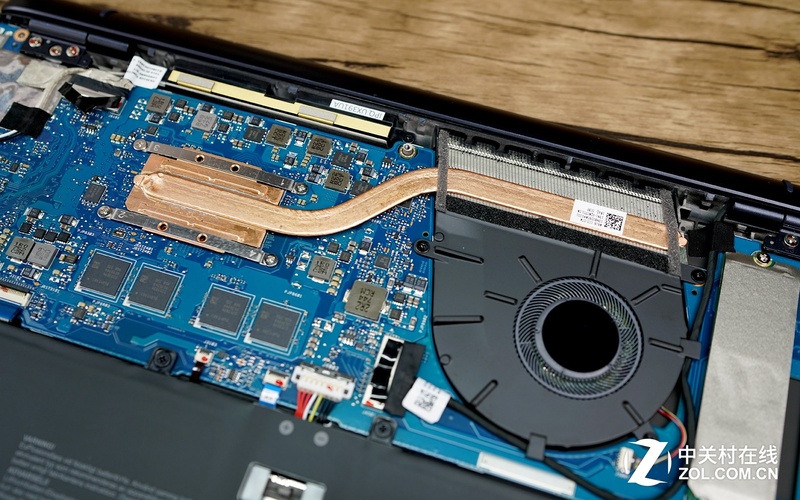 As for heat dissipation, although the laptop only comes with a single copper pipe, the heat can be quickly dissipated since its copper pipe is short. 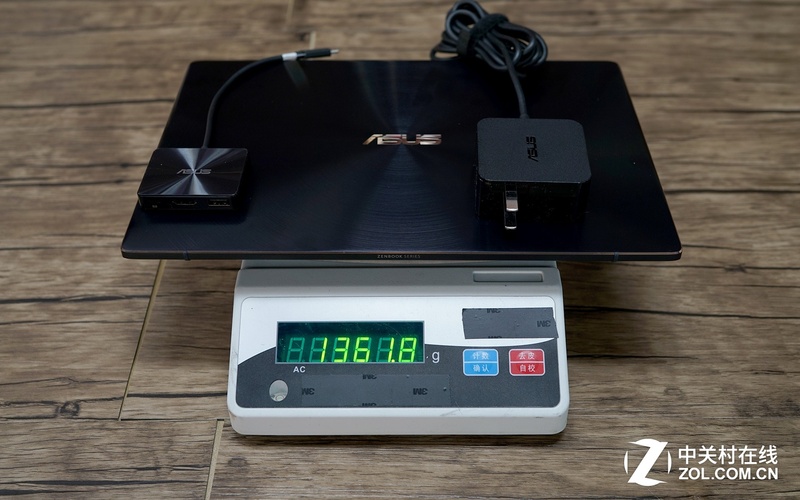 Therefore, there is no need to worry about the laptop’s heat dissipation performance. We use AIDIA 64 to test the laptop. 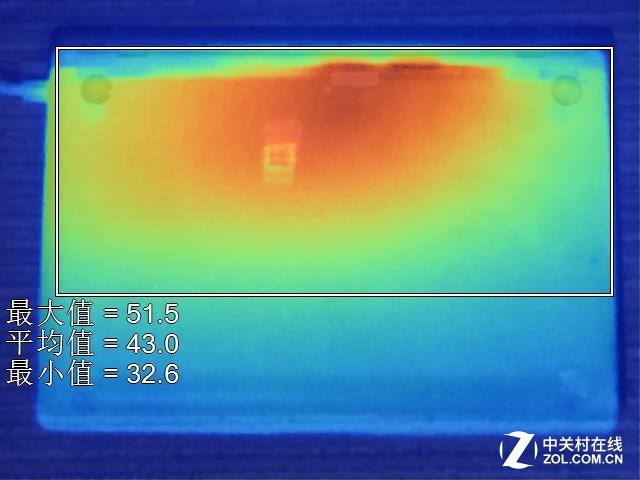 The result shows that its core temperature is around 66℃. This suggests that the laptop has quite good heat dissipation performance. In addition, we use the thermal imager to detect its back cover and the part with a keyboard. 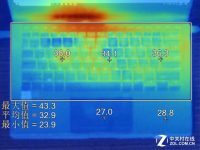 From the picture, we can see that the laptop’s area which generates heat is reasonable and is far from where the user’s hand will touch. The laptop has not generated much heat on its back cover and the area with a keyboard. It will bring comfortable user experience. The laptop sports a 50Wh battery. 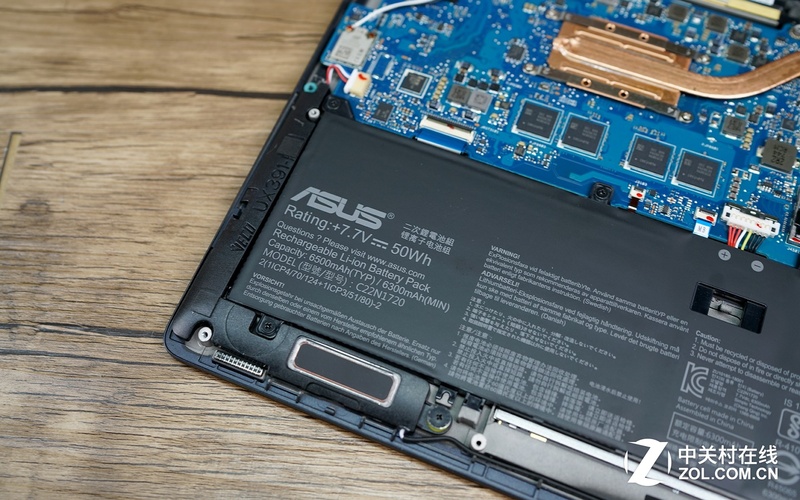 Among current lightweight laptops, it has longer battery life. We use PCMark8 to test its battery life, and the result shows that it can work for 4 hours and 5 minutes. 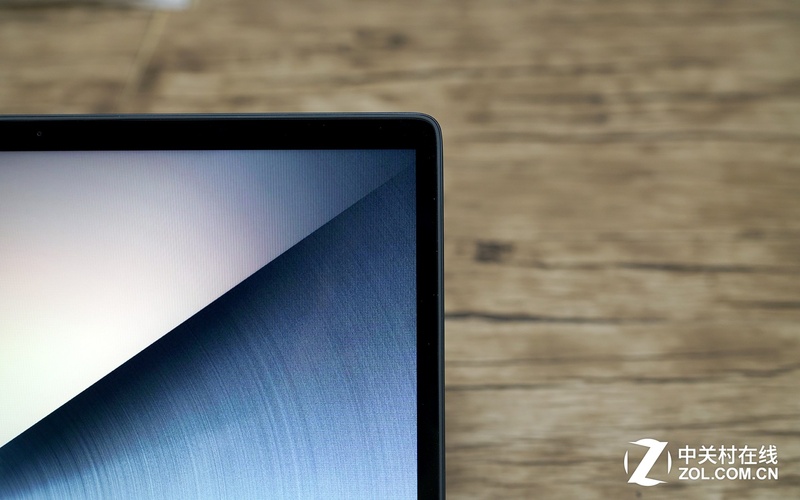 In addition, the ZenBook UX391UA also supports fast charge technology, and it can get fully charged within an hour. This laptop for the test is powered by Intel’s Core eighth generation i7 8550U processor and features 8GB LPDDR3 coupled with 512GB SSD. The Intel Core i7 8550U processor uses 14nm manufacturing process and it adopts four cores and eight threads. The chip’s major frequency is 1.8GHz which can reach 4.0GHz. Its L3 cache is 8MB and TDP is 15W. 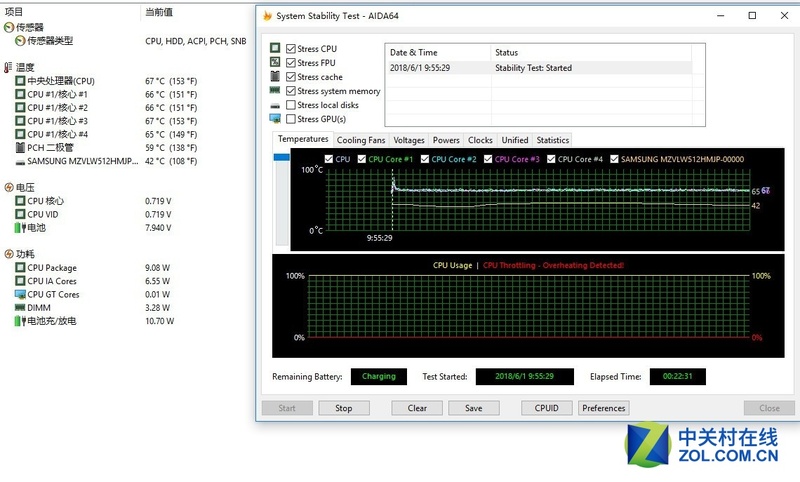 On CINEBENCH R15, the processor’s multi-core score is 598cb and its main frequency keeps around 2GHz. 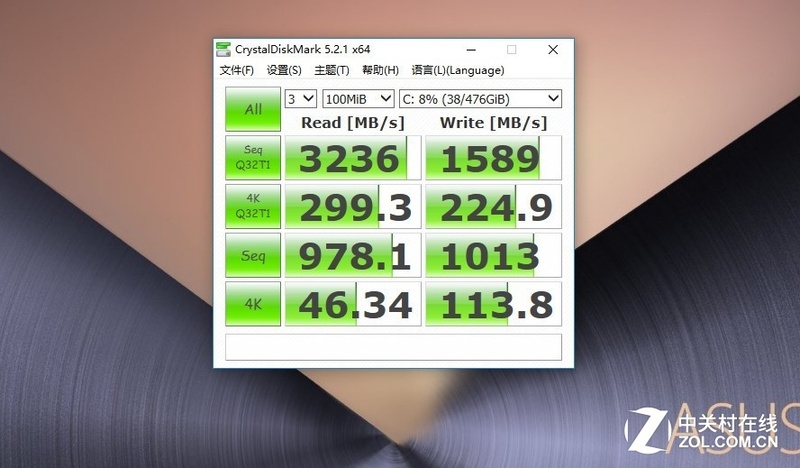 We use CrystalDiskMark to test its SSD. The result shows that this SSD’ sequential read speed is 3236MB/s while its sequential write speed reaches 1589MB/s. 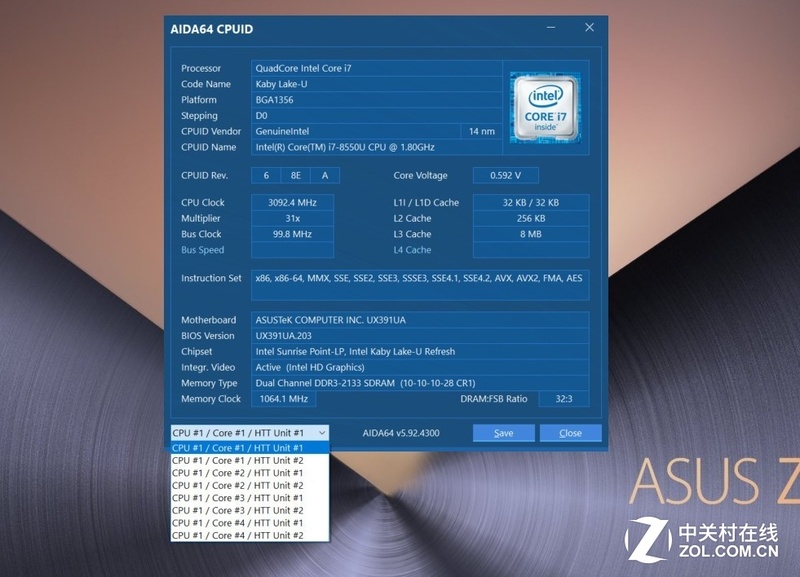 From that, we can see that this SSD the laptop features has excellent performance and it belongs to high-end SSD. On the Express mode of PCMark 10, this laptop’s final score is 3679 points, which means it can provide smooth user experience when dealing with file, picture, website and video for daily use. 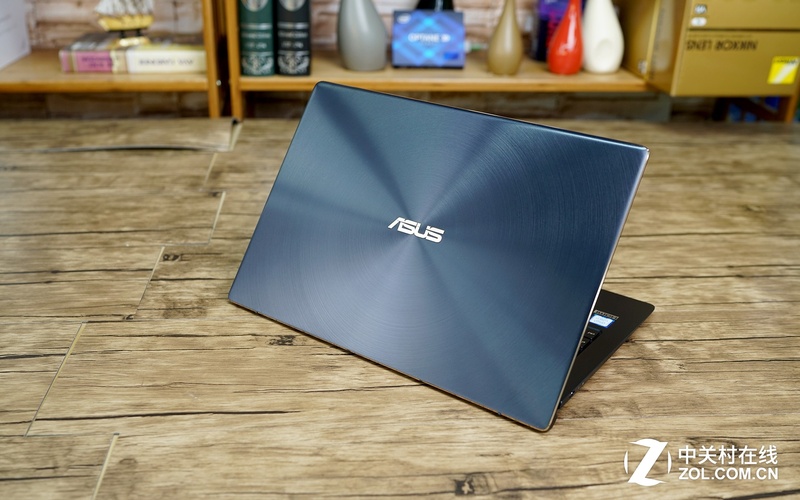 This ASUS ZenBook UX391UA is an excellent high-end lightweight new product which is powered by Intel’s eighth generation Core processor. Compared with other lightweight laptops at its similar price, this laptop has excellent performance, good workmanship and good appearance design. In addition, this laptop has improved its heat dissipation performance and optimized user interface. 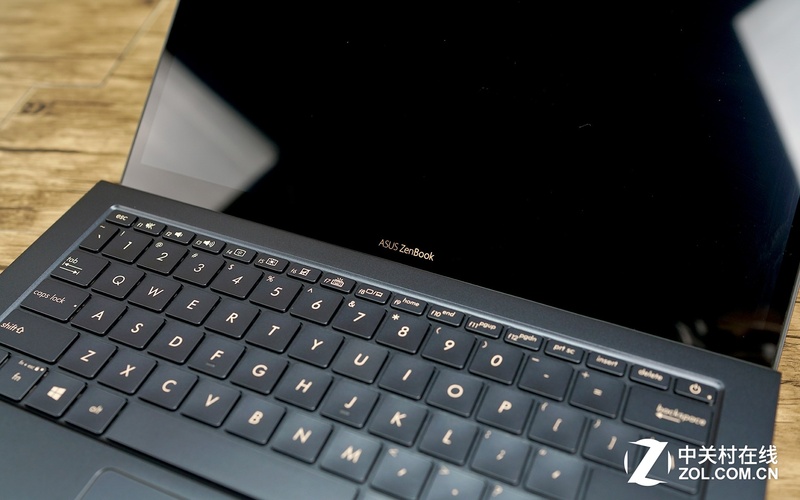 There is no doubt that the ZenBook UX391UA will bring superb user experience.